You are leaving your friends behind to move into a bright new future. That can be daunting. After all, you're entering an unknown world of strangers. All of those people you acquired at kindergarten, fell away at the end of high school. It's hard to be adult about this. But never fear. This is your golden age of friendship building. This is where you will meet people, who are likely to be by your side for decades to come. Let's go make your best friendships. Friendships are formed around those who have something in common. People like this are plentiful on campus. Unless you are a mature student, then you have likely entered college or university straight from high school. This is a whole new ballgame. In high school, everyone is thrown together solely because they happened to be born in the same area, during the same academic year. You have age and cultural backgrounds in common, but that's about it. Such things do not close friendships make, unless you are very lucky and found like-minded individuals amongst them. Enter further education. Suddenly much more is thrown into the mix. These are people who are your intellectual equal. Just like you, they want to learn more. But more importantly, they share your actual interests. It's highly likely that those undertaking, for example, a degree in Physics are quite interested in science. And, if you are on that course and in that class, then so are you! Finding like-minded people to talk with here is like shooting fish in a barrel. You will succeed. 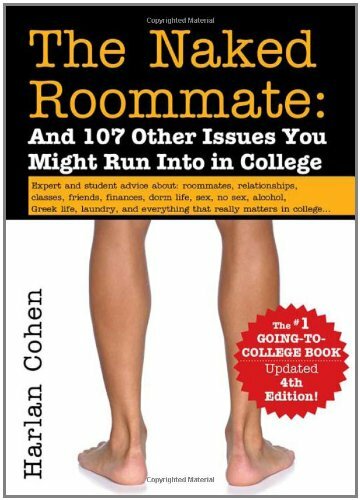 College and university will be full of people just like you. You will have things in common; and not just the course. 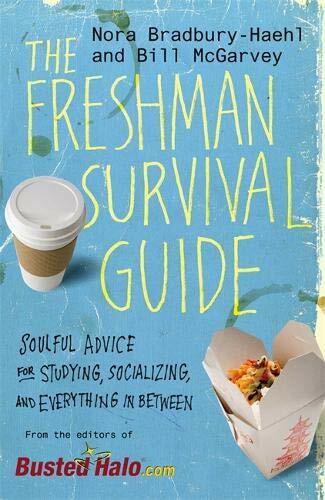 Buy these guides to discover many more tips for making friends and thriving on campus. 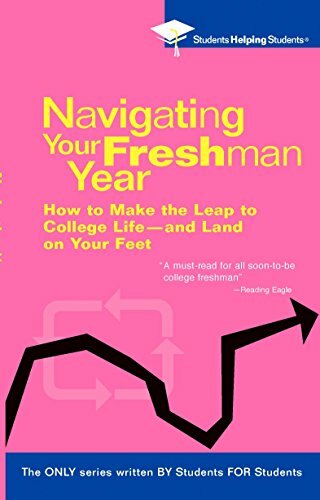 There is a reason why the Freshman Year starts a week or two earlier in further education. You can see who else is new! Ok, the real reason is that there's a lot of paperwork to sort out on the administration side of things. But that's all bureaucracy. Back to the main event. 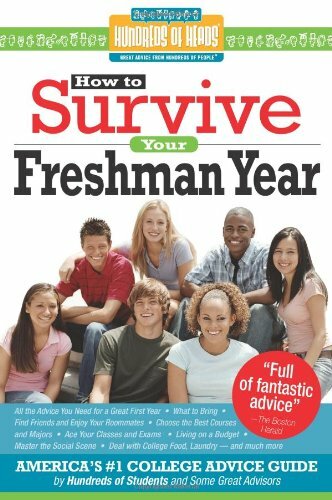 Freshers' Week is your grand opportunity to know precisely who is a freshman too. In short, you can work out who is in the same situation. Let me state categorically that you are not the only person feeling intimidated by these new surroundings. In fact, the extrovert, loud-mouthed leaders of the pack are probably the ones panicking most! Nobody likes to be out of their comfort zone. During Freshers' Week, everyone around you is experiencing just that. Every single one of them will appreciate a kindly hello. They are also looking for new friends. If you can't speak to them for your own sake, then do it for them! Shared experience is a very fertile ground for friendships. You are all sharing one right now. You are in this together. This is such an amazing time in your life! There is the potential for so much. These books will help you embrace the social opportunities. You're not going to get anywhere, if you're thinking about it in the wrong way. Before initiating conversation, first fix your own head. Two huge facts to take on board here. You are worthy of friendship. You have a lot to give. You are interesting. You deserve friends. I don't even have to know you to guarantee that this is correct. It's universal. Every one of those points pertains to every single person out there. True story. The other person is (perhaps privately) as nervous and unsure of their surroundings as you are. You're all on campus for the first time! No-one is born knowing how to fit in there. They may have transferred sociable skills from elsewhere, but that's the limit. You're new. They are new. So be new together. Facts noted, accepted and fixed? Good, let's look at some common opening gambits that you will encounter; and the way to turn them into actual conversations. Conversation is the first step towards making an acquaintance. Acquaintances are friendships awaiting development. Why are Friendships so Important Here? I already touched upon that in a previous Wizzle. Check it out to find the answers. This period could impact the rest of your life in ways that will not be immediately obvious. It's not just about the academia. The internet is full of photographs of real people. You can use them to practice chatting with strangers. Type 'student' into an image search engine. Look at each picture. Based only on those physical clues, how would you initiate a conversation? Not everyone has the skills and confidence to begin friendships easily. Let me help out! Situation: Person says hello to you. Situation: Person doesn't say hello to you. Action: Say hello to them. Situation: Person initiates a conversation with you. Action: Have a conversation. By which I don't mean answer all questions with 'yes', 'no' and 'don't know'. Volunteer enough information or an opinion to give them something to respond to. Situation: You recognize that accent. If you are both in a home university, this is a big moment to share pride in your local area. After all, you are surrounded by people who have chosen to study in it. Discuss them. If you are both on campus miles from home, then swap stories about how you got there. You've set off from the same point A and arrived at the same point B. Surely there's conversation in that! Situation: You don't recognize that accent. Situation: It's obvious where they're from. It says so on their t-shirt. NB This is now a rich stem of conversation. Mine it. Discuss anything that you can think of which pertains to their homeland (without being offensive). Talk about sport; vacations; landmarks; use this opportunity to clear up urban myths and stereotypes. Make their home town/city/county/state the most interesting subject ever. If that dries up, or you can't think of anything, default to their recent experiences. They've just had to pack up and move a certain distance. How was that for them then? Is it looking like a good decision so far? Situation: Person is sitting in a corner on their own, people-watching and/or looking scared stiff. Action: Assess the environment. If you can sit near, without invading personal space, do it. Wait a short time, so you're both used to being in proximity, then make a 'safe' comment. (Safe: general stuff about the goings-on in the room; weather; 'bit weird being here, isn't it?'). At the very least, say 'hello', though that might be a little too direct for this one. Situation: Person is sitting alone crying or otherwise looking upset. Action: Dude needs a friend. Go and be one. They are either a long way from home and homesick; figuring that they just made a terrible mistake being here; feeling like they will never fit in; or something very specific has occurred. Or all of the above. Or none of it. You'll never find out, if you don't go and do the decent thing. A good opening line is, 'Hey, nothing is ever that bad really. What's up?' And, if you have a tissue handy, offer it. In truth, it doesn't matter what you say, as long as you aren't laughing. This person just needs someone right there, right now. Situation: Person is extremely loud and extrovert, taking the lead in a room full of strangers. Action: Stand by them. Follow them. Stay as close as you can without being a creepy stalker. This is currently the top dog and you will find friendships through them. Hopefully even with them, as they have the skills in abundance that you lack. Oh! And don't be fooled by them. They're just as intimidated. They just deal with it better; and the friendship that they are trying to attract is with you. Or, at least, people just like you. You fit the bill anyway, so answer the call to acquaintance. Got a different scenario? Leave it in the comments and I'll add it to the list with my advice. Good luck! 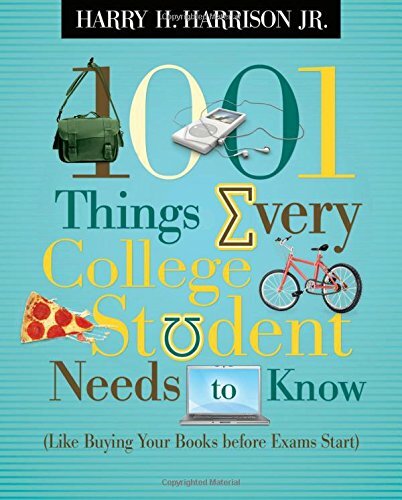 Writing an essay, whether at school, college or university, need not be daunting. Here are some simple tips for gaining top marks. LOL I love your comment about females in male universities! That would surely work. Thank you for your more serious note about keeping up to date. That is a very valid point, especially the part about staying true to your own opinions. University and college is a great place to widen your horizons, and not just follow the herd on what you do or do not like. Fast food and students have always gone well together. To me, a student kitchen is a great place for experimentation. You're too embarrassed to phone home to find out how to cook (thus incurring the mirth of your parents), so you go for it in whatever way presents itself. I can't imagine you ever struggling to make friends! I too enjoy making friends now, but I was very shy when I entered University. I still cringe now in memory. I'm very glad that I made the effort though. I'm sorry that such things happened to you, Brenda; though it sounds like the outcome was good. I agree that things happen for a reason. Great article Jo. I really missed a lot. I got married 3 days out of high school to get away from my abusive mother. It was the best thing that ever happened to me. I did go to college and finish while I was raising a family. 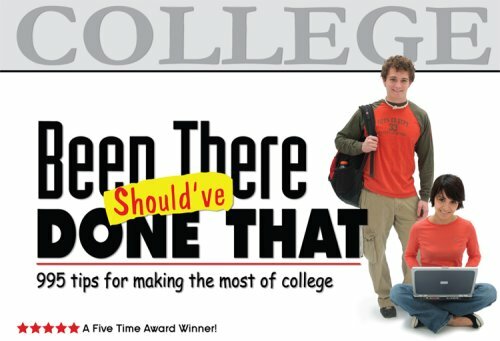 I wish I could have gone away to college, but circumstances prevented it. I strongly feel that everything happens for a reason. 20 years ago, I was at University. I got chatting to the lad who is right now sitting three foot away from me. He and I have just returned from a few days away with a third Uni friend. These are life-long friendships that we are making there. University...sweet memories...Take advantage of your time there (learn) but also meet people, it's way easier than it sounds. And you'll prolly be in touch with at least a few of then for the next 20 years or so. The Semester Is Almost Here … Have You Picked Your Major?